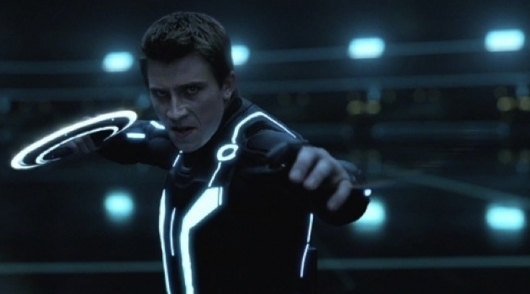 Tron 3 (rumored to be titled Tron: Ascension) was so close to production that stars Garrett Hedlund and Olivia Wilde were expected to report on set in Vancouver in the Fall. However, with the disappointing box office performance of Tomorrowland, Disney decided to shut down the Tron sequel before it even entered production. Fans refused to believe that Tron 3 would never happen, and even started a petition to get it back into production. Disney didn’t even mention at the D23 Expo earlier this year if they were still considering releasing Tron 3, but for those who are still holding out on hope of it getting made, Hedlund has an optimistic outlook. According to what was told to him, the project isn’t dead, but rather Disney is still trying to find the right story. More on this below. Now that is just optimistically speaking. As previously mentioned, Disney made no mention of the film during their live-action panel over at D23, which is quite telling. On top of that, Wilde believes that Tron 3 will never happen, and Bruce Boxleitner has moved on. Tron is a cult favorite no doubt, but a lot of money went into the production and marketing budget for Tron: Legacy, which barely broke even. It’s not a risk that Disney is willing to make, especially since they’ve already lost so much with Tomorrowland. Maybe there is some truth to Hedlund’s comments. Maybe Disney is just trying to figure out the right story to tell, and maybe Wilde and Boxleitner were just answering questions they were tired of answering. That’s a lot of maybes. If that were true, hopefully they would have perfected the young CGI face so that it wouldn’t look so much like a CGI face.